When you book a rental car, you are booking a certain class of vehicle. 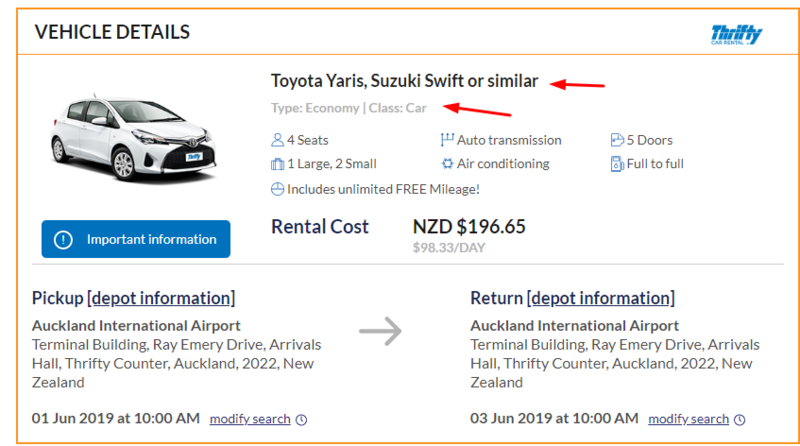 The car that you book may be the one you receive however you may also receive a car from the same class that is similar. It’s hard for a car rental company to guarantee a specific car due to the fact that their fleet changes often from location to location. They will be able to guarantee the amount of seats, class of car, transmission, number of doors, if it has air-con and the fuel type - just not the specific model. This is why we use the term ‘or similar’ in our booking flow. This term works the same for every car rental company.